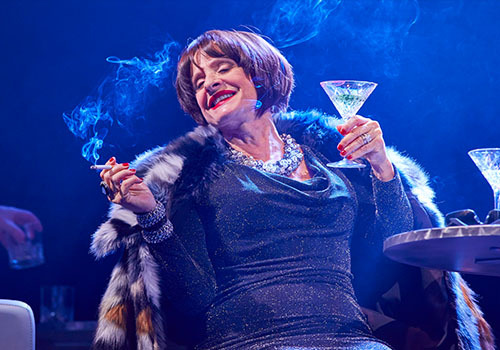 Broadway legend Patti LuPone makes her first West End appearance after 25 years in newly formed theatre company Elliot & Harper Production’s revival of Stephen Sondheim’s Company. 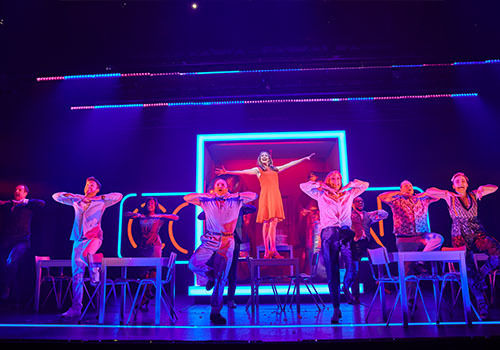 Playing for a strictly limited season at the Gielgud Theatre, the musical masterpiece last received a major London revival in 1995 at the Donmar Warehouse, directed by Sam Mendes. 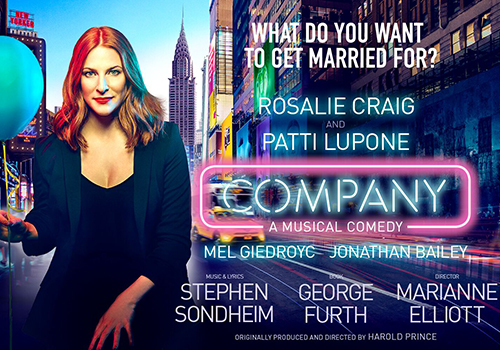 Featuring music and lyrics by theatre titan Sondheim and a book by George Furth, Company is the musical comedy about life, love and marriage. Following Bobby, who has been gender-swapped in this production to become Bobbi, the story sees her on her 35th birthday, receiving visits from her family and friends who wonder why she still hasn’t found a steady relationship. With musical numbers including “Another Hundred People”, “Getting Married Today”, “The Ladies Who Lunch” and “Being Alive”, Company is a multi-Tony Award-winning show, receiving six awards at the 1971 ceremony, including Best Musical and Best Score. Rosalie Craig stars as Bobbi, after an Olivier Award-nominated role in the National Theatre’s The Light Princess, as well as starring in productions including City of Angels, Finding Neverland and London Road. Tony and Drama Desk Award-winning actress Patti LuPone plays opposite as Joanne, after most recently appearing on Broadway in War Paint. LuPone’s illustrious stage career includes leading roles in Les Misérables, Evita, Sunset Boulevard, Women on the Verge of a Nervous Breakdown, Gypsy, Sweeney Todd and more. Former The Great British Bake Off darling Mel Giedroyc steps into the role of Sarah. No stranger to the London theatre scene, Mel's other credits include Much Ado About Nothing, The Rocky Horror Picture Show, Eurobeat, Luce and New Boy. The role of Jamie is played by Jonathan Bailey, whose theatrical résumé includes The York Realist, King Lear, American Psycho, Othello and Les Miserables, not to mention television programmes such as Broadchurch and Doctor Who. 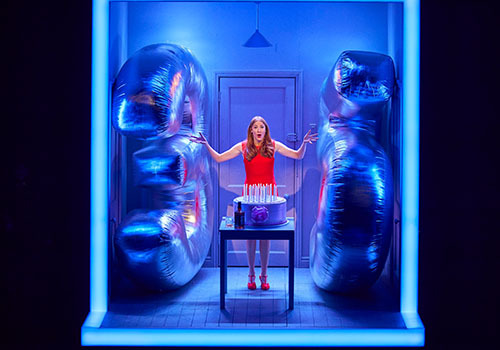 Directed by Marianne Elliot, who is best known for War Horse and The Curious Incident of the Dog in the Night-Time, Company marks the second production in her and producer Chris Harper’s new theatre venture, Elliot & Harper Productions. 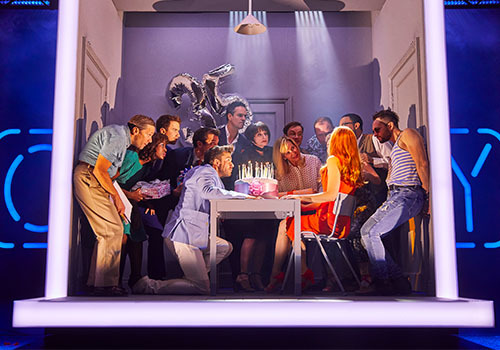 A life-affirming, jovial musical that is acclaimed across the world, Company plays at the Gielgud Theatre from September 26th to March 30th 2019. Company is not suitable for children. Under 16s must be accompanied by an adult.